Al-Mutakkabir comes from the root k-b-r, and “Kabeer” in regular parlance is used to describe something that is great or big physically. You would say “Al-baytu kabeer” (the house is big). 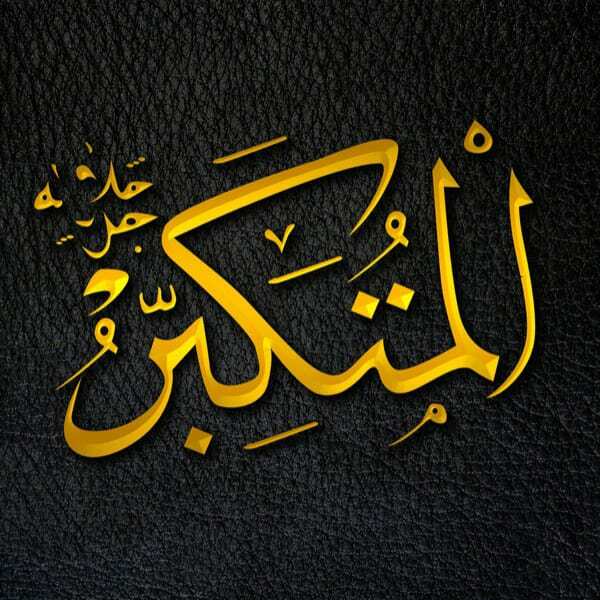 Al-Mutakabbir is the only One who possesses rights and attributes that are above anyone else’s. That’s why this Name is exclusive to God Almighty, and if used for a human, it has the negative connotation of arrogance. An arrogant person is one who sees that they have rights or attributes above other people - that they are greater than others - and so they disdain others because of that. If ever you find yourself looking down on others because of your achievements, luck or even things you were born with, remember the ultimate source of those things. And remember that the only One who is above us all is God.